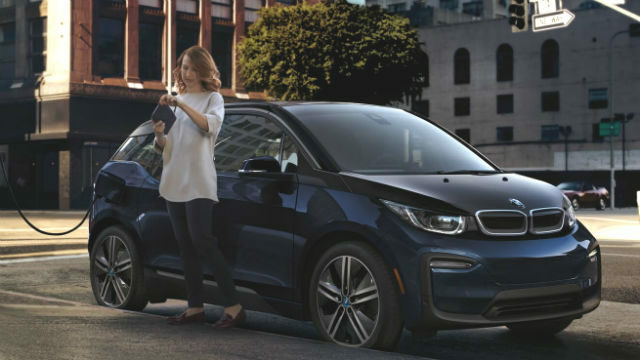 San Diego Gas & Electric announced it is working with two automakers to offer electric customers $10,000 rebates on new BMW i3 models and $3,000 on the popular 2018 Nissan LEAF. The utility said the rebates are intended to accelerate the transition to zero-emission transportation in the San Diego region. The automaker discounts are on top of state, federal and other SDG&E incentives, which together can potentially total another $10,000 or more in savings. The BMW offer is valid through July 31, and the Nissan offer through June 30, or while supplies last. To take advantage of the rebate offer, download and complete the appropriate form at sdge.com/EVDiscount. Customers will need to bring the form and a copy of an SDG&E bill to a local BMW or Nissan dealership. SDG&E has been aggressively promoting electric vehicles through new rate packages by installing thousands of chargers.